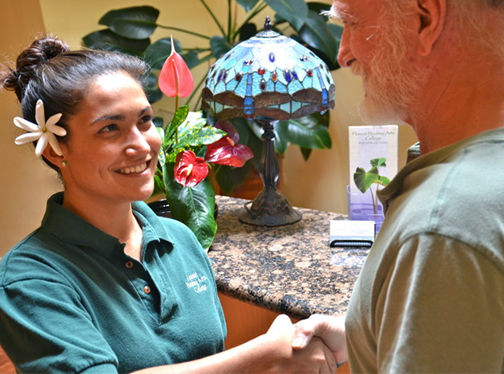 Kailua Massage Professionals, is a popular full-service therapeutic massage clinic and teaching environment for Intern Massage Therapists since 1985. Our facilities underwent a major expansion in 2001. 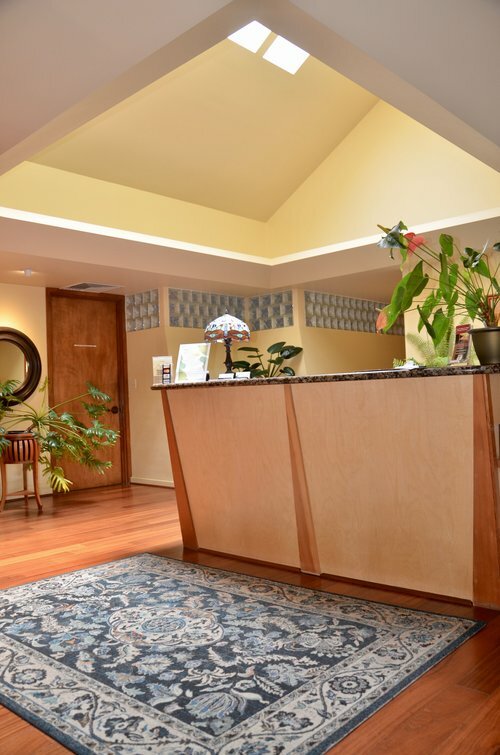 Designed by massage therapists for massage therapists, the lobby opens to cathedral ceilings and natural light shining down on polished mahogany floors, waterfall features, gorgeous teak furniture, an oriental rug, and tropical plants. 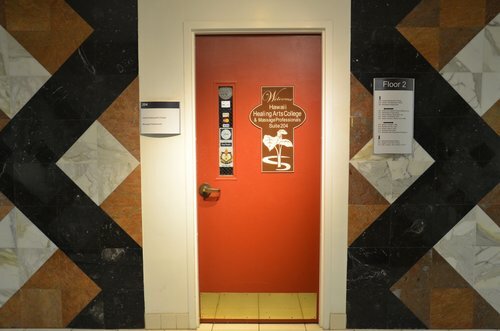 The eight private treatment rooms offer a unique atmosphere in each, with original artwork by well-known artists, colors that calm, heated tables, and audio systems that allow for the therapists' personal choice of music. 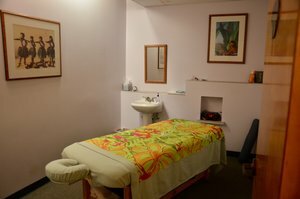 There are over 20 licensed therapists on staff who are graduates of Hawaii Healing Arts College and have continued into private practice at Massage Professionals, offering support as mentors to students during their internship. Kailua Massage Professionals is open seven days a week from 9:00am to 9:00pm (Closed on major U.S. holidays: New Year’s Day, Memorial Day, Independence Day, Thanksgiving Day and Christmas Day). Although appointments are highly suggested, walk-ins are always welcomed. Call (808) 266-2468 for an appointment or select an option below. * Other session duration and rates available, please inquire. Intern and Licensed Therapist gift certificates are available for purchase at the front desk. Gift certificates purchased by telephone and mailed directly to the recipient (via USPS Certified Mail) are subject to a $10 processing fee. Please ask the receptionist about our new LMT Rewards Program. Purchase 10 massages with a licensed therapist and receive a one-hour session for FREE. Open to all, we have a selection of massage supplies available for purchase inside the Kailua massage clinic. We stock items such as massage lotions & cremes, flannel sheet sets, face cradle covers, and pareos. Cash, check, and credit/debit card payments are accepted. Parking is metered, either on Uluniu Street or in the public parking garage located behind the Kailua Medical Arts Building. Street parking is FREE after 6:00pm and on Sundays.